...a deeper relationship with God? ...a sense of belonging in a faith community? ...a greater fulfillment in life? We invite you to look deeper into the Catholic Faith! what Catholics believe and answer your questions about our Faith. at 7 o&apos;clock in the Maloney Room in Flaget Hall. Please give Robin Leake a call to find out more about our RCIA process. RCIA is the process established, for the universal Church, for individuals (age 7 through adult) who wish to become Catholic and receive the Sacraments of Initiation: Baptism, Confirmation, and the Holy Eucharist. This initiation process also involves the Parish Community as they, too, experience a renewal in faith as it prepares and welcomes new members into the Church. 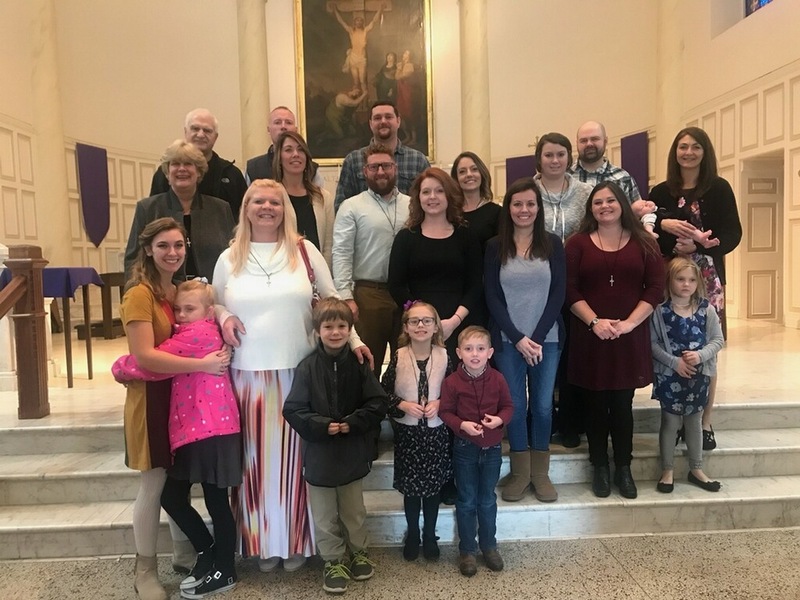 RCIA Catechumens (those to be Baptized) and Candidates (those Baptized in another Christian faith) meet on Monday evenings from 7:00pm to 8:30pm in the Maloney Room in Flaget Hall. Perhaps you are searching quietly and need some answers. Get all of your questions answered. You do not have to journey alone!